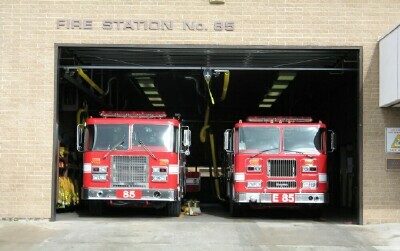 This is the unofficial web site of the Los Angeles City Fire Department's Fire Station 85. We are located in Harbor City, CA. This LAFD station is in Division 2, Battalion 6. We house and staff a Task Force (truck and two engines), Rescue Ambulance and USAR (Urban Search and Rescue) company. Don't forget to visit our online store. We sell shirts and hats. We also have custom items available. The Los Angeles Fire Department staffs multiple Urban Search and Rescue response teams designed to provide a coordinated response to disasters in urban environments. The response consists of six- Type I Heavy Rescue Units and California’s US&R Task Force 1 (CA-TF1). All these teams are designed to provide a coordinated response to disasters in urban environments. Emphasizing locating and extricating victims trapped in collapsed structures, confined spaces, or trenches in largely populated areas, these resources are capable of responding to all local, State and National disasters including earthquakes, hurricanes, widespread tornadoes, and man-made technological and terrorist events in largely populated areas. These pages are constantly under development to inform the citizens of Los Angeles on the exploits of LAFD US&R and to keep the Rescue Community informed of training and events. These pages are meant to educate, inform, and entertain our stakeholders. The Los Angeles Fire Department’s Urban Search and Rescue Program is under constant pressure to train, improve, and provide flawless service to the community and the Nation. LAFD US&R is second to none. When the public needs help, they call 911 and firefighters respond with courage, knowledge, skills, and abilities. When the firefighters need help, they call US&R. The Los Angeles Fire Department staffs three levels of urban search and rescue teams. The first is categorized as a Type 1 heavy rescue company. 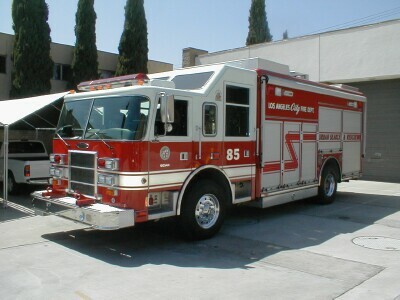 The LAFD staffs six type 1 heavy task forces throughout the City. These companies are capable of the initial attack and in many cases, resolution, of any technical rescue situation. capable of maintaining continuous operations beyond the initial attack. For large-scale incidents, the LAFD staffs a self-sufficient 70-member task force. This task force (CA-TF 1) is one of eight in the State of California and is a key component of the Governor's Office of Emergency Services (OES) response plan. In addition, CA-TF 1 is one of the 28 FEMA task forces responding to events of national significance. These units provide structural collapse, trench, confined space rescue capabilities throughout Los Angeles. In addition, these units provide heavy rescue capabilities for the entire Southern California region as part of the OES mutual aid system.